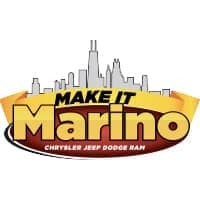 Welcome to the Marino Chrysler Jeep Dodge Ram (CJDR) vehicle comparison library, where drivers like you from the South Chicago, Skokie, and Forest park areas can find valuable resources to help on your journey to find your next car. Research is one of the most important steps to take when you’re actively searching for your next car, and at Marino CJDR, we’re happy to help you make an informed decision. One of the best ways to help you find your next car is to compare two vehicles you’re interested in. 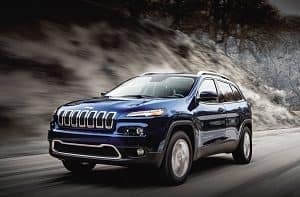 Our vehicle comparisons are designed to give you important information on how the models on our lot stack up to others. You’ll see how they differ in engine performance, interior space, vehicle style, entertainment and technology, and safety. By seeing how the vehicles differ from each other, you’ll have a clear idea of which one is the better choice for you. 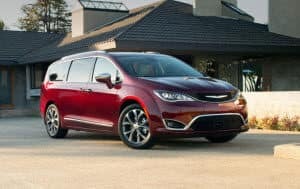 These vehicle comparisons can be extremely helpful if you’re having trouble deciding between two cars. Not only will these comprehensive articles give better insight to what separates these vehicles, but you’ll also learn about some newer vehicle technology and sophisticated infotainment systems that can add enjoyment and convenience to your trips. Our vehicle comparisons aren’t required reading, but if you’re in the market for a new car, they can be a valuable resource to use. You’ll learn about the abilities and features of the vehicles you’re interested in. You may even learn about new cutting-edge systems. Now that you know about them, your preferences may change. Above all, these articles will help narrow down your list of potential vehicles, so deciding on your next vehicle will be much easier to do. Look below to find some of your favorite models, click, and learn how they measure up to the competition. After you’ve read about a vehicle’s advantages, come in and schedule a test drive so you can see how it handles on the road. You’ll even get a glimpse of the features you recently read about. At Marino CJDR, we’re always happy to help drivers from the Chicago, Skokie, and Forest Park areas. Fill out the form below to check the availability of any CJDR cars, trucks, or SUVs that have caught your eye!